"We think it is really important to be heard. 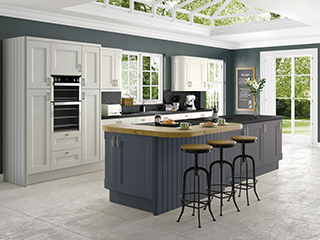 When you talk with us we listen to how you want your kitchen to be." Bob 30 years in design. At Kitchenworld quality counts and that quality begins in care and thought. - Bob 30 years in design. 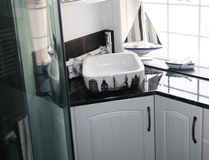 "We are delighted with our new bathroom. 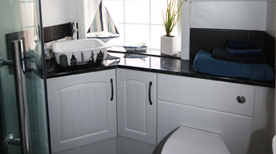 Other companies said there was not much we could do in a 6ft x 6ft bathroom but kitchenworld gave us plenty of options. 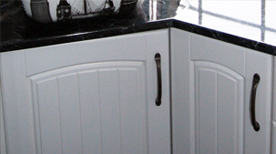 Our priority was to include storage and we believe the outcome utilises the space completely. We are both getting on in age and we decided to have a walk in shower along with a high toilet. 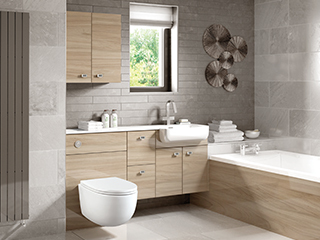 The sit on bowl finished off a stunning bathroom considering the 6ft x 6ft area."